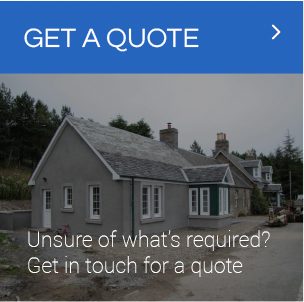 We are an experienced Perth-based ‘all trades’ construction & building contractor carrying out a wide variety of work throughout Perthshire and the surrounding areas. H & H Construction are an experienced Perth-based ‘all trades’ construction & building contractor carrying out a wide variety of work throughout Perthshire and the surrounding areas. Our team of skilled, friendly tradesmen are all time served, working to the highest of standards completing both small & large contracts quickly & efficiently. Please view our Testimonials page to see what our clients & customers have said about us. Whether it be a large new build project or small maintenance contract, you will receive the highest standards of customer care right through from start to completion. We pride ourselves on completion of all projects on time & within budget. Please visit our Projects page to see some of our completed & ongoing work or click on the Facebook icon at the top right hand side of the screen. We also offer other services, including stove installations, solid fuel appliance cleaning and chimney sweeping, we are fully qualified registered with national governing bodies HETAS and NACS, see stove and fires section for more details. Winter snow clearing and gritting service available. We offer the flexibility of either one-off snow clearing & gritting or regular contract work throughout the season. Please contact us for more information.